A new leaked information about the upcoming major update for Windows 10 appears online. Microsoft is planning to release RedStone 2 update or Windows 10 1703 in March 2017. 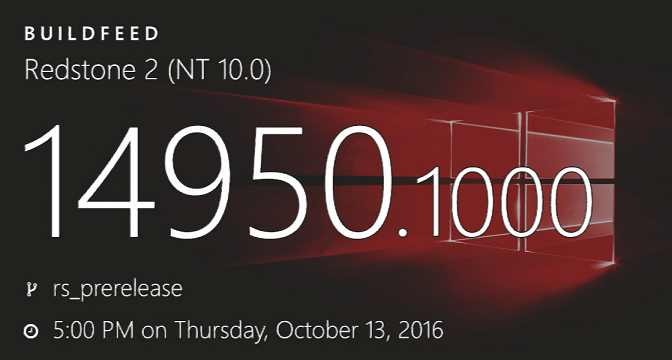 Currently, Insider team is testing PC build 14950 and mobile build 10.0.14950.1000, which is compiled on October 13, 2016.